Mr. Parsa will also share best practices in how to maximize the effectiveness of your assets and forms to capture more online leads. 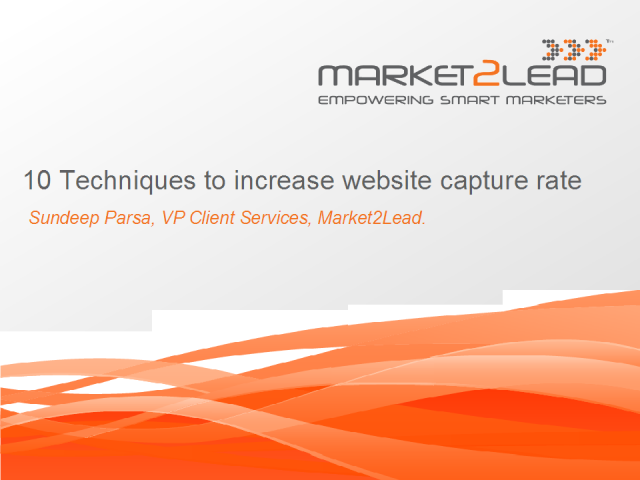 Sundeep Parsa, VP of Client Services and Co-Founder, Market2Lead, Inc. Presented by: Sundeep Parsa, VP of Client Services and Co-Founder, Market2Lead, Inc.